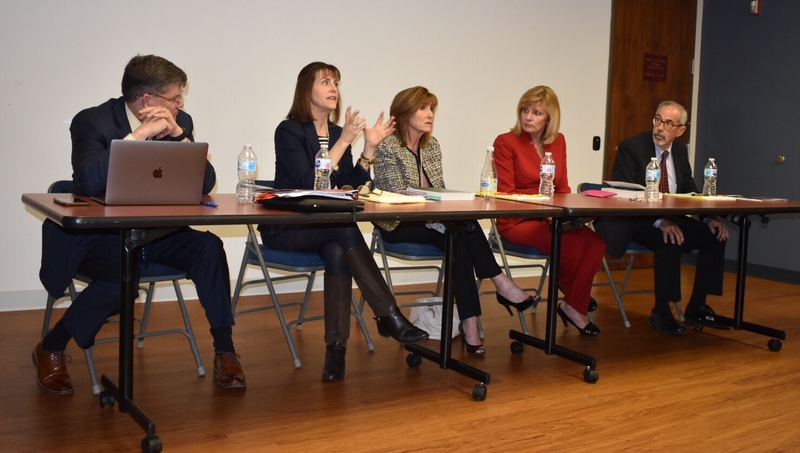 Serving as a conduit between its members and the Workers’ Compensation Commission (WCC), the MSBA Negligence, Insurance & Workers’ Compensation Section hosted “What Commissioners Want” on April 19, 2018, at the WCC offices in Baltimore. The program, which included a discussion panel comprised of the Hon. Cynthia S. Miraglia, the Hon. Lauren Sfekas Godwin, the Hon. Jeffrey T. Weinberg, and the Hon. Delia Turando Schadt, drew more than 60 attendees and addressed such matters as new state workers’ comp laws as well as new COMAR regulations adopted by the Commission.